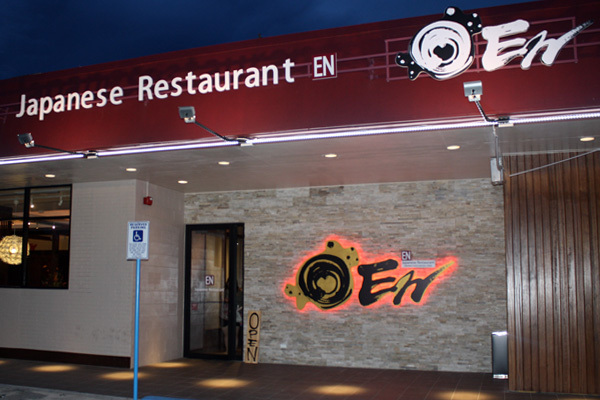 En Japanese is Guam’s newest restaurant located in Tumon across from Subway. 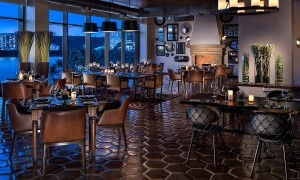 The chic and inviting eatery shares an owner with Fuji Ichiban, though the cuisine couldn’t be more different. En Japanese serves up Japanese food, yes, but with a California twist. The cross-Pacific fusion has resulted in out-of-this-world dishes like the Caesar salad, which is anything but standard. 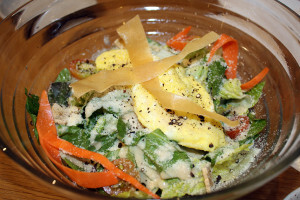 Fresh romaine is topped with a fluffy Japanese-style omelette and Miso Caesar dressing. Fresh ground black pepper is the perfect accoutrement to this creamy salad with a kick. The black cod is a must-have entrée. 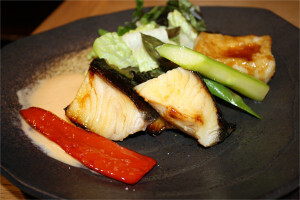 The fish is marinated overnight in a sweet “Saikyo” Miso and grilled to perfection. It is all the right amounts of sweet, buttery, and moist. It’s served with marinated asparagus and peppers, and a pocket of deep fried mashed potatoes that, at first glance, looks like tofu. 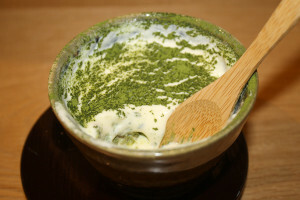 The green tea tiramisu is a perfect nightcap with its creamy, sweet layers. It’s so satisfying, you won’t even miss the ladyfingers.